What could be better than spending a weekend sipping handcrafted wines wonderfully paired with mouth-watering Northwest artisan cheeses? How about doing your sipping and tasting on the scenic and sunny Olympic Peninsula?! According to today’s forecast, the sun will shine on the Olympic Peninsula Wineries’ inaugural Northwest Wine & Cheese Tour this weekend! So come on out to this beautiful part of our state and experience a taste of spring! All seven wineries will be open from 11 a.m. to 5 p.m. on both Saturday, April 18 and Sunday, April 19. 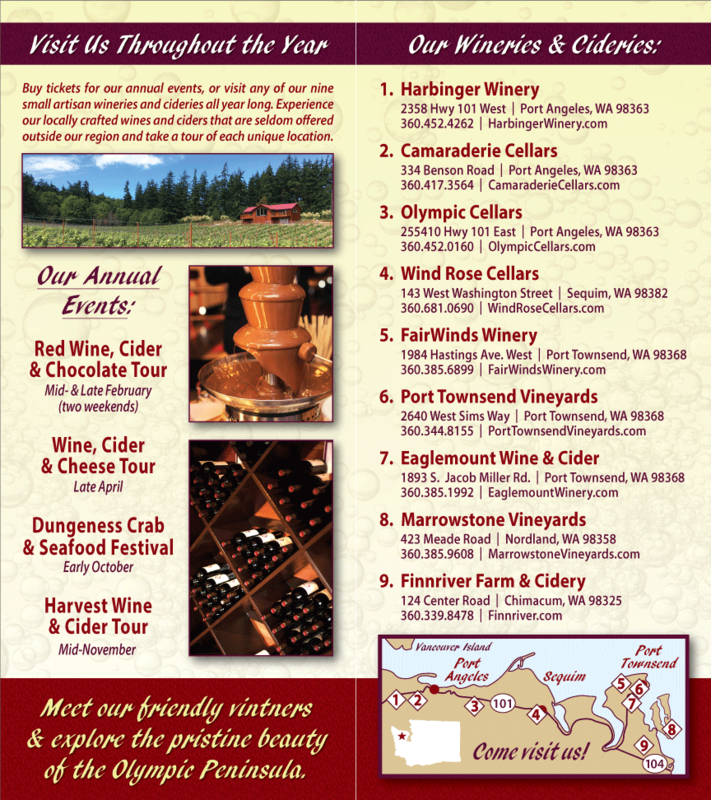 Northwest Wine and Cheese Tour from Olympic Peninsula Wineries!